This past weekend I set up a booth at the Farm to Table Conference in Pittsburgh for the first time. What a wonderful experience. The number of booths promoting small farms, the variety of products they offered, and the continuous stream of people attending the conference demonstrated that the local food movement is strong and well-supported in the Pittsburgh area. 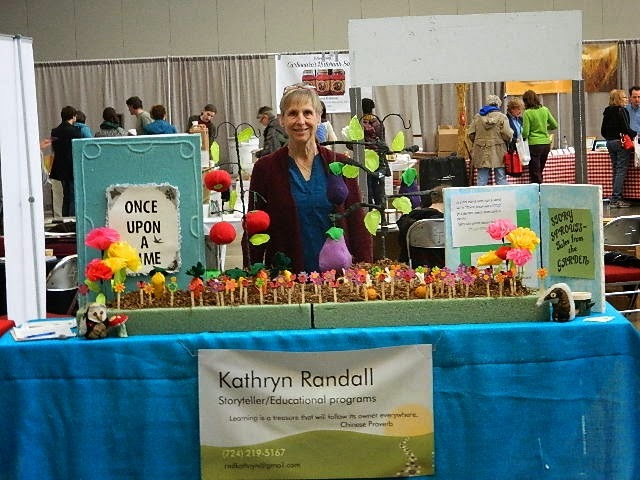 I enjoyed meeting the other vendors, sharing stories with them about gardening, and talking with teachers and others interested in programming about gardening and nature. Most of all, I enjoyed talking with children about their experiences in the garden and outdoors. Watch for this conference next year and plan to attend.